William is Managing Director of International Gateways and Global trade services at FedEx Express, responsible for International Operations and ensuring that FedEx consistently delivers outstanding levels of service for its customers. 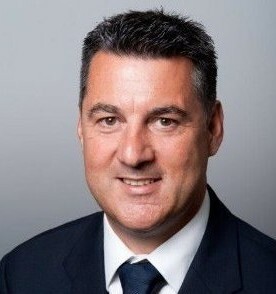 William was promoted to Managing Director in 2007, having first joined the company in 1988, amassing an impressive 20 years managerial experience in the sector. For the last seven years William’s main aim continues to be motivating his team to seek excellence in leadership, ensuring quality principles and improving business results. A keen supporter of charitable initiatives, William regularly makes time to work with a number of not-for-profit organisations. William firmly believes that a CSR strategy has to be actively pioneered and championed from the top, as well as by team members throughout all levels of an organisation in order to succeed. Key achievements include winning the Five Star Award; one of the highest awards for individual accomplishment at FedEx Express.